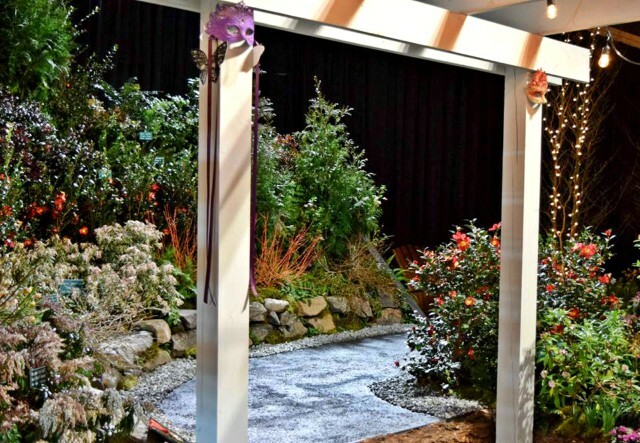 Each year the Arboretum Foundation, with support from its City and University partners at the Arboretum, presents a horticultural display at the Northwest Flower & Garden Festival. 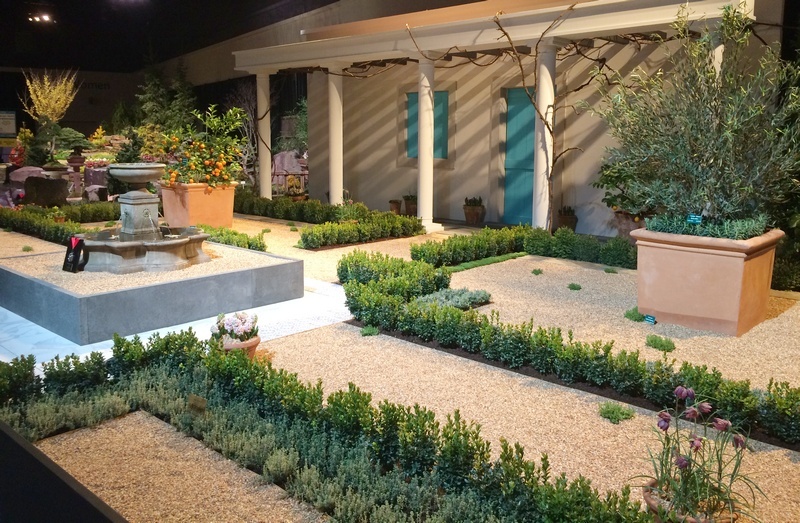 In keeping with the “Gardens of the World” theme of the 2019 Garden Festival, this year’s Arboretum display will be “Under the Mediterranean Sun.” It will capture the age-old charm, restfulness, romance, and warmth of the traditional Mediterranean garden. A country villa fronted by a portico of columns will create a backdrop for the space. The courtyard garden will be a study in graceful symmetry as planting beds, paths, and boxwood hedges create formal lines and geometric patterns. As the title of the garden suggests, it will be a sun-drenched landscape filled with iconic Mediterranean shrubs, herbs, and fruit trees. A grove of cypress and a grape vine draping from the portico will create welcome areas of shade and relief. 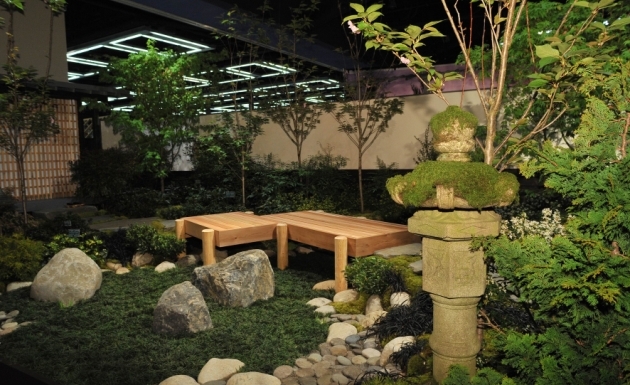 At the front of the garden, the paths will converge on a cast-stone water fountain that provides movement, serene sounds, and a cooling ambience. Design drawing, courtesy Roger Williams. Anyone who has ever fallen under the spell of the Mediterranean region will enjoy this garden. And it’s one that translates well to the Pacific Northwest! Despite our damp winters, a dry Mediterranean garden is quite doable here. It takes some careful planning, soil preparation, and plant selection, but gardeners can enjoy a sun-loving garden that requires minimal irrigation in the summer. “Under the Mediterranean Sun” will use a relatively limited plant palette to create a strong, harmonious design. Edging boxwood (Buxus sempervirens ‘Suffruticosa’) and Mediterranean cypress (Cupressus sempervirens) will provide structure to the planting. Fragrant shrubs will include bay laurel (Laurus nobilis), rosemary (Rosmarinus officinalis), and lemon thyme (Thymus × citriodorus ‘Silver Lemon’). Fruit trees will include lemon (Citrus limon), bitter orange (Citrus × aurantium), and olive (Olea europaea). 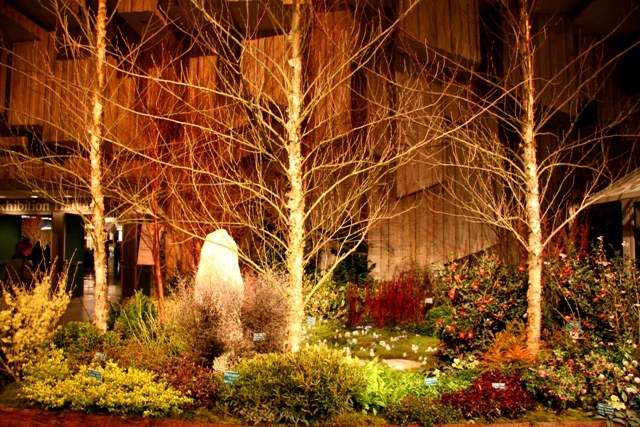 Plant profiles: Read illustrated profiles of selected plants from the display garden. We’ll publish a full plant list soon. Display Garden Plant Sale: Saturday, March 2, 10 a.m. to 1 p.m. 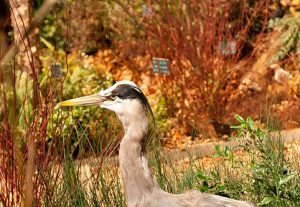 If you’d like to buy plants from “Under the Mediterranean Sun” for your own garden, then come to the Arboretum on the Saturday after the Festival. All purchases support Arboretum maintenance and education programs. The Washington Park Arboretum has a strong connection to the Mediterranean region. Of the 22 countries that touch the Mediterranean Sea, 17 are represented in our plant collection! Many of these plant specimens have been growing here for decades. 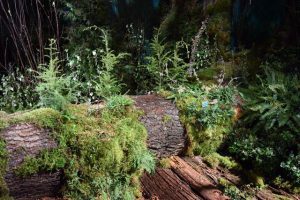 For instance, in the Arboretum’s main Mediterranean Collection—just to the south of the Mountain Ash Collection—you’ll find cork oaks, bay laurel, cistus, and green olive trees dating to the 1950s. A view of the Mediterranean Collection at the Arboretum. 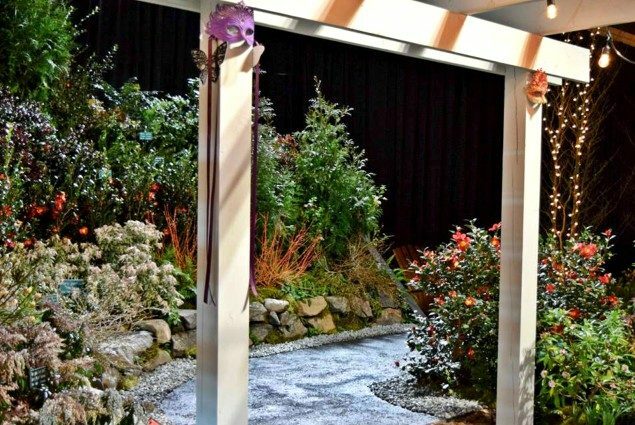 For the 10th year in a row, renowned local plantsman Bob Lilly and award-winning designer Phil Wood created our display garden, in collaboration with Seattle architect Roger Williams. Design committee (in addition to the designers): Barbara BonJour, Alyssa Henry, Meaghan Kapinos, Joanna Long, Jane Stonecipher. 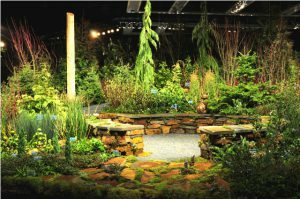 If you’d like to help with our display garden build or take down, or if you’d like to act as a docent, please email volunteer@arboretumfoundation.org or call 206-325-4510. 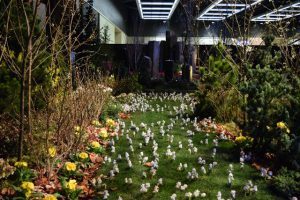 ARBORETUM CARNAVALE: WONDERS OF THE WINTER GARDEN celebrated the 30th anniversary of the Arboretum’s iconic Witt Winter Garden. 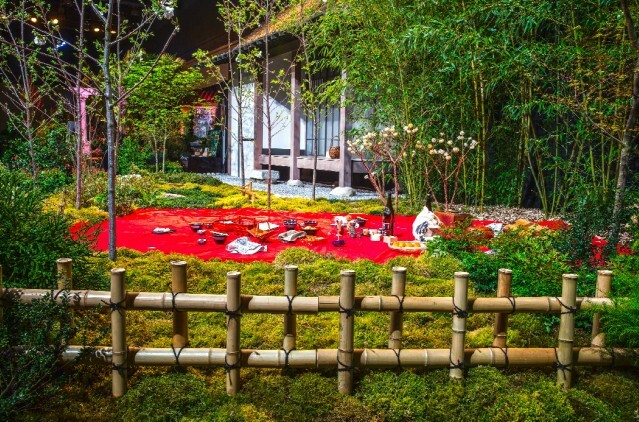 HANAMI: SAVORING SPRING, marking the reunion of the Seattle Japanese Garden with its original support organization, the Arboretum Foundation. “THE HOH: AMERICA’S RAIN FOREST,” our diorama-like display celebrating our state’s ancient temperate rain forest. PICTURE YOURSELF ON AZALEA WAY: Celebrating the Arboretum’s historic Olmsted-designed promenade. 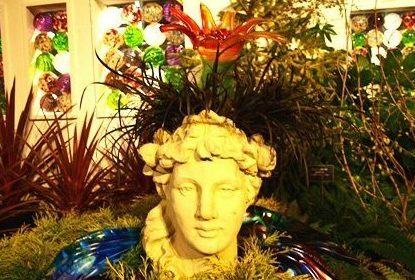 The Garden of Artful, an homage to the home garden of renowned Seattle glass artist Ginny Ruffner. 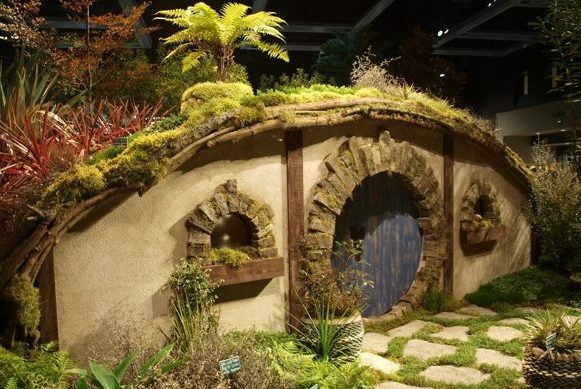 A Hobbit’s New Zealand Garden, celebrating Peter Jackson’s movie and the New Zealand Forest at the Arboretum. BIRDSONG: A collaboration with Seattle Audubon showcasing birds of the Arboretum. THE JAPANESE GARDEN, BRIDGING HISTORY: Celebrating the 50th anniversary of the Seattle Japanese Garden. THE GARDEN IN WINTER: Celebrating the historic Witt Winter Garden at the Arboretum. 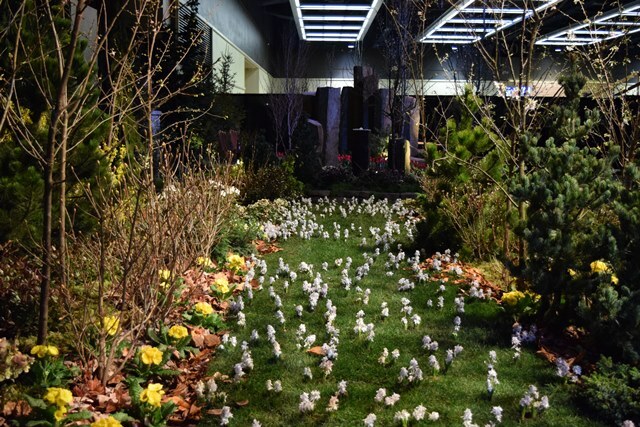 ENTRY TO CASCADIA: Inspired by the Cascadia Forest in the Pacific Connections Garden.